This week the National Railway Museum announced that luxury Pullman carriage, Lydia, will complete its funeral train display from 30th January to mark 50 years since Sir Winston Churchill’s state funeral. As the nation marks 50 years since an emotional farewell to the great statesman, the National Railway Museum will be commemorating Churchill’s Final Journey, by reuniting the funeral train that transported the illustrious former Prime Minister to his final resting place for the first time since 1965. Lydia, the latest vehicle to join the line-up, thanks to the generosity of owner David Westcott, has a colourful history. Decked in the characteristic umber and cream livery of the luxury Pullman cars, it was manufactured by Birmingham Carriage and Wagon Company in 1925 and was chosen as one of five carriages to carry the family of the great man and funeral guests to their final stop at Hanborough. During the Second World War this same carriage formed part of Churchill’s wartime command train. The carriage has travelled all over the world, as one of nine cars to embark on the famous 1969 Flying Scotsman ‘goodwill tour’ covering 2,200 miles and visiting 12 US cities and it was also used by Compagnie Internationale des Wagons-Lits (CIWL) in Italy between 1925 -1928. CIWL also operated the famous Orient Express. 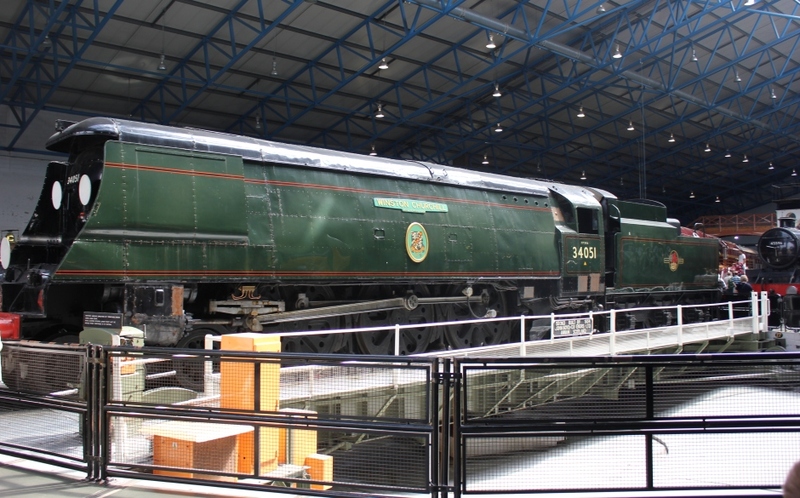 Lydia will be joining the Southern Railway’s Battle of Britain Class locomotive No. 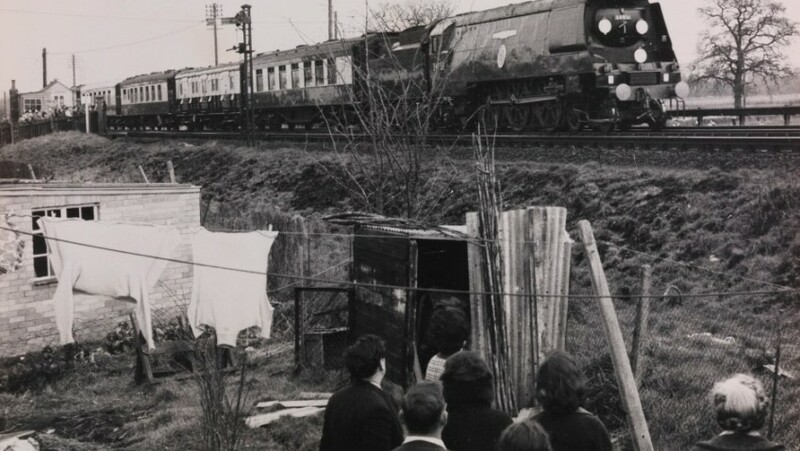 34051 Winston Churchill which hauled the funeral train between Waterloo, London, to Hanborough, Oxfordshire – and parcel van S2464S, which carried the great statesman’s coffin which has also spent time in the US. 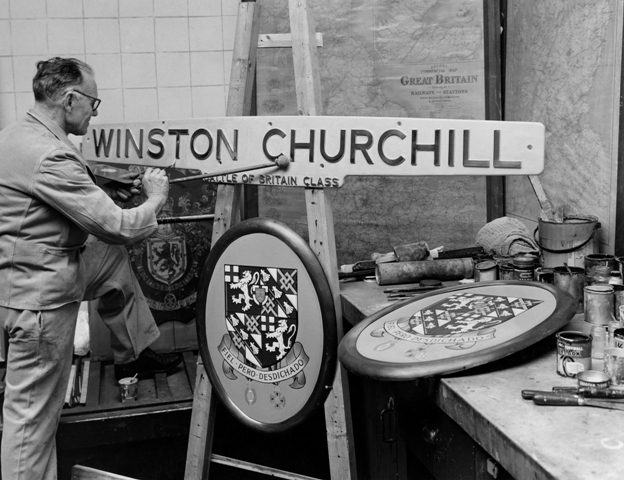 The two vehicles are both in the final stages of being restored to their former glory in time for the museum’s 30 January – 3 May Churchill’s Final Journey display in the specialist workshops at Locomotion: the National Railway Museum at Shildon and at the Mid Hants Railway Ropley Works. Along with Lydia they will arrive at the York site Mid January and will tell the story of the last steam-hauled state funeral. Churchill was the only statesman to be given a state funeral in the 20th century and on that historic day in 1965 thousands of people stood at station platforms to see him on his solemn last journey. 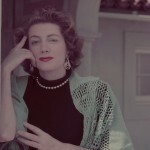 The display includes archive TV news footage of the funeral, which saw millions more worldwide clustered around their TV sets to witness this milestone in world history. 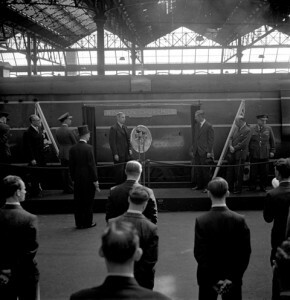 The reunification of the train marks the culmination of a long journey for the Friends of the National Railway Museum who launched an appeal back in January 2011 to raise the money to give the steam icon a new look in time for the 50th anniversary year of the wartime leader’s death. Churchill’s Final Journey runs from 30 January – 3 May 2015. The cosmetic restoration work on both the Southern Railway’s locomotive No. 34051 ‘Winston Churchill’ and the 1931 built parcel van was supported by the Friends of the National Railway Museum. For more information, including how to share your own memories visit www.nrm.org.uk/churchill.